When Wilbur Wright came to Europe with his Flyer biplane, the King of Spain, Alfonso XIII, was one of his visitors at Pau in February 1909. 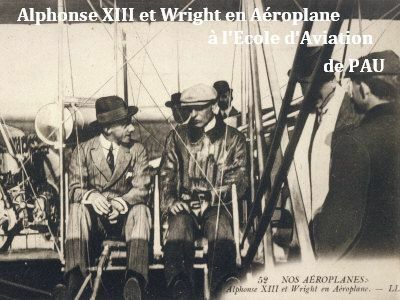 That same year, Antonio Fernández, who lived in France, built the first aeroplane of Spanish design to be exhibited in the Paris Salon de l'Aéronautique, where he sold the manufacturing license to Pierre Levasseur. Fernández flew his machine successfully on 5 November, but he was killed due to an elevator control failure. Constructora Aeronaval de Levante SA, established factory in Castellon de la Plana, near Valencia. License-builder in 1960s of Piel Emeraude French light aircraft. Established at Cuatro Vientos, near Madrid, headquarters of the Spanish Military Air Service. Had its own workshops and laboratory and before 1931 was said to have produced several types of aircraft. 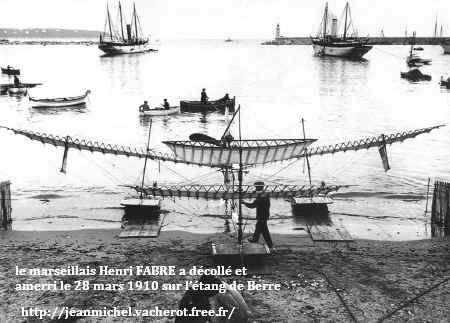 Formed to develop and build helicopters of French (Jean Cantinieau) design. Also licensed for Matra-Cantinieau production. Two prototypes of AC-12 built in Madrid by mid-1950s (first one flown July 1956) and a few delivered to Spanish Air Force. Type was unorthodox in layout and featured transmission and reduction gear on automobile principles. AC-14 development flew July 1957, but Aerotecnica organization dissolved in 1962. CASA 3 C-207 "Azor" C-212 "Aviocar" C-101 "Aviojet"
Oficinas Tecnicas Dornier was set up after the Second World War by Dr. Claude Dornier. First designed the Do 25, from which the very successful Do 27 STOL aircraft was built. Spanish Company Construcciones Aeronauticas SA (q.v.) produced 50 of these. La Hispano Aviacion SA manufactured the Fiat CR.32 biplane fighter as the HA-132-1 Chirri between 1938- 1942. In 1943 the company received a contract to build the Messerschmitt Bf 109G under license for the Spanish Air Force. Designated Hispano HA-1109, it was powered initially by a Hispano-Suiza HS-12Z engine and later, in HA-1109/1110 Buchon variants, by the Rolls-Royce Merlin. An indigenous HA-43D-1 advanced two-seat military trainer went into production for the Spanish Air Force in 1947, followed in 1953 by the HA-1 OOEI replacement, with tricycle landing gear, designed by Willy Messerschmitt. Messerschmitt also supervised design of the HA-200 Saeta jet trainer, which first flew in 1955 and which was later developed as the HA-220 Super Saeta single-seat light ground-attack aircraft. Hispano merged with Construcciones Aeronauticas SA (q.v.) in 1972. This company, established in 1946, began the development of aircraft in 1948. 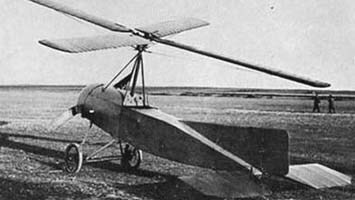 A two-seat training glider, the IP- 2, was designed, but construction was undertaken byAISA (q.v.). Designed and built in 1950 the 1-11 two-seat lightweight training/sporting aircraft, followed by the 1-115 basic trainer. Was involved in helicopter design when the company was taken over by AISA. Founded in Madrid by Dr. Loring of the Compania Espanola de Trafico Aereo. Received order for 20 Fokker CIV for Spanish Army Air Corps in 1924. First indigenous design was the R.1 for the army. Further reconnaissance types followed, and light aircraft. Built Cierva Autogiro under license. Successor to Stark Flugzeugbau AG of Minden/Westf, Germany. In late 1960s was continuing development and production of Stark version of Druine Turbulent and Stamo engine.